About John Kowalski & Pivot Productions, Inc.
John’s restoration experience began more than 40 years ago pulling sooty contents out of fire damaged properties for his father’s company during the hot Arizona summer months of his high school years. This quickly led to the obvious decision to leave home and go to college! After graduating from Northwestern University, and spending the next year working toward an MBA as a financial analyst, he rejoined the family restoration business as the financial controller to indulge his love of spreadsheets and money. Many years later upon his father’s retirement, John won the sibling coin toss and took the reins as the General Manager & CEO. Much to the delight of his already inflated ego, the company increased revenues over 1,500%, opened a branch office in Tucson, expanded to 5 divisions, and had a workforce of over 100 awesome employees. Shortly after 9/11, and mistakenly thinking the world might actually be ending, he sold his shares in the company to his wiser brothers. 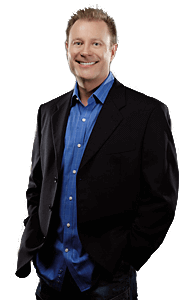 Later realizing that he should probably get back to work, he started Pivot Productions, Inc. and has since been available nationally as a business consultant, executive coach, and speaker. John has worked with hundreds of restoration companies across the US and currently offers peer group memberships; on-site consulting, including process mapping, business assessments, and management team development; monthly key indicator bench-marking; and online executive coaching.